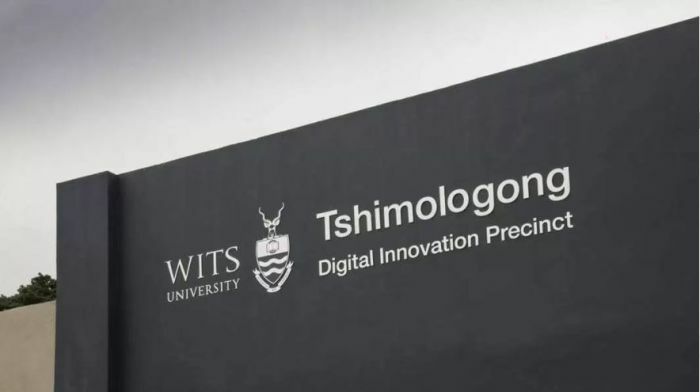 Named after the Setswana word for "new beginnings", the Tshimologong Precinct is a collaborative working environment aiming to connect like-minded people so as to enhance digital innovation and entrepreneurship. It is situated in Braamfontein (Johannesburg). The Money Show’s Bruce Whitfield interviewed Tshimologong Precinct CEO Lesley Donna Williams for his weekly “ShapeShifter” feature. Donna Williams has almost two decades of experience in the so-called “Impact Economy”. She founded Impact Hub Johannesburg in 2010, the first one in Africa and now one of over 100 Impact Hubs in major cities around the world. Impact Hub is a co-working space and accelerator for social innovation and profitable social ventures. IBM wants to interact with what’s happening in the city… They bring the tech and they bring [supercomputer] Watson… It’s one of the most accessible research labs they have in the world. South Africa has sufficient infrastructure to connect with First World Markets, but we have enough problems to connect with the rest of the developing world. There’s a shortage of 30 000 animators, globally.